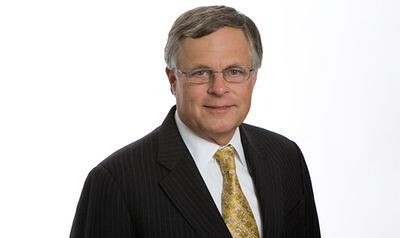 Stephen Del Percio at the Green Real Estate Law Journal wrote an interesting article about environmental objective clauses in leasing agreements. I know what many of you are pondering. What exactly is an "environmental objective clause?" Environmental objective clauses are clauses that require both landlord and tenant to operate the demised premises pursuant to a set of very general, aspirational green building objectives. In essence, these are obligations that both a landlord and new tenant voluntarily become subject to in an effort to aid the environment. The obligations contained within these new type of agreements cover such areas as (i) direct and indirect energy consumption and greenhouse gas emissions; (ii) water consumption; (iii) the amount of material entering the waste stream; (iv) negative impacts upon the indoor air quality of the Building and the Premises. The problem that Mr. Del Percio finds with these agreement is that the vague nature of the language leaves landlords open to possible unexpected liability. What exactly is excessive water consumption? If this is not clearly outlined that the tenant may have a suit against a landlord because of using too much water on landscaping. Or what is an excessive amount of material entering the waste stream? Will this also cover other tenant lodgings on the same property? I have to agree that the general nature of these clauses could be a problem, but is not insurmountable. For example, how many contracts include definitions? Nearly all. So, why can't an inclusion of definitions work in this case? It can. Also, landlords can use limitation of liability clauses to prevent being overexposed for any litigation from tenants. This seems to remedy the problems and allow for the continued use of environmental objective clauses. One of the essential problems with solar power is the cost. Even with government subsidies and major growth, photovolatic energy is not cost competitive when compared to traditional power sources such as oil and coal. An element of photovoltaic costs is the materials used in the manufacturing process. Approximately 75 percent of the costs of solar cell comes from the sunlight-to-electricity converter. The remaining 25 percent is produced from manufactured packaging including petroleum-based plastics. These plastics are prisoners to the ever increasing cost of petroleum and add to environmental degradation that solar is seeking to remedy. The problem is that most conventional bio-plastics are not suitable for use in solar cells. These renewable plant based materials posses a lower melting point and fragile molecular structure. The high temperature production of photovoltaics usually causes breakdowns or alterations in structure. Thus, one aspect of lowering costs in the solar industry and tackling the problem of down stream pollution is the creation of alternatives to petroleum-based plastics. For an industry with an expected growth to $50 billion by 2020, there is a huge gap in the market that needs to be filled. Enter BioSolar. BioSolar is a Santa Clarita, California based company that is the first anywhere to introduce a new dimension of cost reduction by replacing petroleum-based plastic solar cell components with durable bio-based materials. BioSolar was formed in 2006 by electrical engineer and current CEO Dr. David Lee. BioSolar, Inc. is a public company trading on the NASDAQ Over-the-Counter Bulletin Board (OTCBB) market under the symbol "BSRC" or "BSRC.OB". For the past thirty-seven years, a non-profit organization sought to bring sustainable gardening to the San Francisco Bay Area one sale, one class, one gardener at a time. This non-profit is Common Ground, a loved pillar in the green community of Palo Alto, CA. Common Ground is actually an offshoot of another non-profit organization, Ecology Action. Ecology Action was founded in 1972 to research and develop a high-yielding, sustainable agricultural system that emphasizes local food production and is based historically on intensive gardening systems. The system is called GROW BIOINTENSIVE. Ecology Action needed to promote this "new" system of agriculture and chose to use education and training as the avenue. Common Ground sprung forth as a store-front dedicated to providing all the needed materials for the GROW BIOINTENSIVE system and train individuals in sustainable gardening and land use processes. Today, Common Ground is run by center director, Patricia Becker. This enthusiastic woman manages the actual store, coordinates classes, edits a newsletter, and runs a demonstration garden at the same time. Not a small list of things to do. I visited the storefront last weekend and was impressed by what I found. The actual storefront itself is small but clean. Everything is there for the novice gardener or the experienced horticulturist. Tools, seeds, soil amends, plants, and so much more may be found there. All of the profit goes simply in sustaining Common Ground and their demonstration garden. The staff is very knowledgeable and helpful to all that walk in. Do not worry if you do not know anything about gardening or if that green thumb actually seems to be black. Just step right in and ask any of their helpful staff, such as Don Lawson, for some great quick tips. CygNET Systems has come up with a simple solution to wasted energy for any system administrator, small business owner, or information technology officer. The solution is to automatically alert them when computers have remained on but dormant for a certain amount of time. This energy management and detection feature is part of their USB CopyNotify! data protection software. Dr. Richard Swanson, Founder and CTO of SunPower Corp., "We Are Completely Dependent on Fossil Fuels"
Last night I was given the opportunity to listen to Dr. Richard Swanson, President, Chief Technology Officer and Founder of SunPower Corporation, at an event held by the Common Wealth Club of Silicon Valley. Dr. Swanson touched on a number of different topics ranging from the founding and success of SunPower as a global photovoltaic powerhouse to the future of the global solar industry. Filled with memorable lines, the loosely structured talk gave great insight into the man and how SunPower Corporation is structuring itself for future challenges. In ways of introduction, Dr. Richard Swanson is the man who saw the future of photovoltaics when many didn't. Originally obtaining a Ph.D. from Stanford University in electrical engineering and becoming a professor there, Dr. Swanson began to target his research to unlocking the potential energy of the sun. It was from this research that the backside contact solar cell was invented. A backside contact solar cell is simply a rear-contact design which eliminates front-side metalization and redundant wires, maximizes the working cell area and makes automated production easier. This design creates a marked improvement in energy producing efficiency. This new technology became the basis for Dr. Swanson founding SunPower Corporation in 1985. KeenforGreen.com is proud to present another installment in a series of profiles of organizations or companies involved in the sustainable movement. We are promoting these organizations to help them gain exposure and attract volunteers and funding. But really, we just wanted to talk about some of the good people are doing. These organizations or companies are run by people that decided to make a difference. We hope their example inspires you to get involved or even start your own group in the same vein. If you are a member of such an organization or company or want to give credit to such an organization, please e-mail me at [email protected] with the details. Avi Green Now! is an educational venue and a community service organization, founded in January 2009 by Michal & Avi Lenchner. The venue serves the entire San Francisco Bay Area. Avi Green Now! strives to education and increase public awareness to living green, healthy homes, greener communities and healing the planet. Through our eco-presentations series, we encourage people to get the latest information, suggest practical tips,inform about risks and options and guides on how to make green choices. 1. Why, how, and when did your organization come about? Our family has a passion and a strong commitment to the environment. We, Michal and Avi, have been green activists for many years and have a growing passion for a healthier environment. Last week I had the opportunity to interview Dr. David Lee, Chief Executive Officer of BioSolar. Dr. David Lee founded BioSolar in 2006 in an effort to make renewable materials for the packaging of photovoltaic cell converters. Dr. Lee holds a Ph.D. in Electrical Engineering from Purdue University, a Master of Science in Electrical Engineering from the University of Michigan - Ann Arbor, and a Bachelor of Science in Electrical Engineering from the University of Texas at Austin. It was a wonderful interview that provides insight into the company's mission, research and commercialization. I am going to start off by asking about your previous work experience. You have worked for Applied Reasoning Systems Corporation and RF-Link Technology, Inc. Both of those did not have anything to do with solar industry. One was an Internet software company and the other a wireless technology corporation. What made you take the leap into solar technology? Actually, it is not a long story. I majored in electrical engineering for my bachelors, masters & Ph.D. One of my hobby projects was solar technology, especially the material science side of it. Even though I ended up getting a Ph.D in communications science, my interest level has always been there. My first job was at a defense contractor where we designed satellite communication systems for the U.S. government. I was a systems engineer. The job of the systems engineer is to oversee the entire project. That involves many different disciplines, not just communication systems disciplines but also different sub-systems that constitute the entire project. My background was much more broad than what most people think. You mentioned my experience in RF Technology. It was a wireless technology company that dealt with both terrestrial and wireless communication devices. Applied Reasoning was a software development company. It also had a lot of space technology related implications in its application. I did not simply start the idea of a solar company all of a sudden. I always had the dream of making solar technology something we can all take advantage of. Is that house in need of a new paint job following the sun drenched summer or do you need that new interior look to "wow" a visiting sister? If you live in the San Francisco Bay Area and are concerned about the environmental impact of your painting, I believe I have the right company for you. Avi Decorative Painting, Inc., founded by Avi Lechner, is a painting company focused on sustainable and low-impact painting practices. Continue reading to find out how this business was started and why it is Keen for Green. 1. Why, how, and when did your business come about? 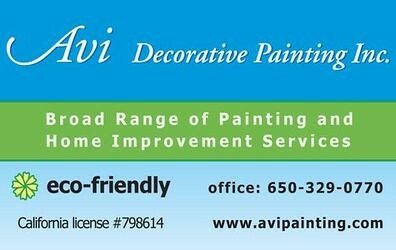 The family-owned, Menlo Park based, Avi Decorative Painting Inc., has been in business for over 23 years, providing a broad range of painting and home improvement services, repaint, new construction, and historical restorations. Range of services include Interior and Exterior, Venetian Plaster, Cabinets, Paper Hanging, and Faux Finishes. A recent survey conducted by the Japan Photovoltaic Energy Association shows that Japan is turning increasingly to solar. During the period of April to June 2009 Japan produced 83,260 kilowatts through solar power. To put this record in context, this is an 82.5 percent increase of power produced by solar cells compared to the same quarter last year. Today, KeenforGreen.com is proud to present the first in a new ongoing series of profiles of organizations or companies involved in the sustainable movement. We are promoting these organizations to help them gain exposure and attract volunteers and funding. But really, we just wanted to talk about some of the good people are doing. These organizations or companies are run by people, normal people that decided to make a difference. We hope their example inspires you to get involved or even start your own group in the same vein. If you are a member of such an organization or company or want to give credit to such an organization, please e-mail me at [email protected] with the details. Collective Roots is a non-profit community garden organization working in East Palo Alto and Menlo Park, California. The group is dedicated to working with school children to create sustainable organic gardens. The group has been featured on numerous outlets including San Jose Mercury, Palo Alto Daily News & Oprah Winfrey's website. The source of this interview is Wolfram Andrews, the executive director of Collective Roots. Sean Fitzpatrick's sustainability blog concerning news about the technology, business and policy of energy and environmental sector. Covering a range of topics with a serious tone but a tinge of personality. Contact Sean at [email protected] with any questions, hints or stories.